Who are some excellent Aussie authors? 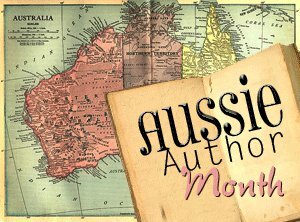 April is Aussie Author Month, a cross-genre collaboration that aims to support and promote Australian writing and raise funds for the Indigenous Literacy Foundation* (click here to make a donation to the ILF). It’s such a worthwhile cause, I wanted to be a part of it. David Malouf, Complete Short Stories, Ransom, and An Imaginary Life. I love Malouf’s writing with a white hot passion. LOVE. I know I’ve just elicited a round of groans from everyone who was force-fed Fly Away Peter in high school. But I read Malouf by choice; I’d never heard of Malouf until I moved here (which is more a comment on my reading habits at the time than on Malouf’s international celebrity) but I have adored every word of his that I’ve read since. An Imaginary Life changed the way I think about characters – forever – and Ransom is so beautiful it made me sob. And his short stories are superb. Every single last one of them. This whole exercise is completely subjective, so it will come as no surprise that Angela Slatter appears on this list. Why try to hide it? Why shuffle her down to, say, #8 or #10, as though to pretend I am more blasé about her writing simply because she’s my dear friend? I mean, sure, we share a Brain and all. But the long and short of it is: her writing rocks. You should all know this by now. And if you don’t, then visit her website poste-haste. Get your hands on her stories. Experience the magic of her worlds, her lovely turns of phrase, her amazing characters all for yourselves. Go’on now: the list will wait. While I’m at it, let’s lay all the cards on the table. I’m a fan of Peter M. Ball’s short stories. Horn and Bleed are fantastic novellas, but for me Peter’s shorter pieces are precisely to my taste. Reading ‘On the Destruction of Copenhagen by the War Machines of the Merfolk’ or ‘Saturday Night, with Angel’, or ‘To Dream of Stars: An Astronomer’s Lament’ … Well, it’s like Pete crawled into my head; found exactly the type of prose I find appealing; the bizarre but also familiar settings; the poignant scenarios; and mashed all these elements up and turned them into stories that fill up my inner happiness metre. Garth Nix’s Old Kingdom trilogy and Sean Williams’ Books of the Change have stuck with me over the years because I read them within the first year of moving to Australia. They encapsulate my experience of getting to know the landscape, the country, and the wild imaginations people have here! They were, and still are, so refreshingly different to many fantasy trilogies. The bells, the necromancers, the paperwings (to name but a few) in Nix’s series captivated my imagination to such an extent that I wrote about Abhorsen in my Honours thesis; and Sean’s setting! The desert, the sea, the elemental magic – it was South Australia as I want to envision it (and still do, years and years after I read these books!) And aren’t we lucky that these two have paired up to write a series together! Can’t wait to read it! Margo Lanagan – umm, everything she’s written. I have to read her short stories in small doses because they are so good I might OD with joy if I tried to read them all in one go. Tender Morsels deserves all the favourable attention it’s been getting – the World Fantasy Awards were designed for insanely wonderful writing like Margo’s. Such excellent authors, such excellent books — now all I need is an oubliette in which to hide and real them all! *The Indigenous Literacy Project aims to raise literacy levels and improve the lives and opportunities of indigenous Australians living in remote communities. It supplies culturally appropriate books to over 200 remote communities across Australia, is trialing an early literacy project aimed at 0-2 year olds, translates books into local language and works hand in hand with remote communities on literacy projects. ILP was established in 2006 by educator and bookseller Suzy Wilson and is an initiative of the Australian Book Industry. It works in partnership with the support of many organisations including the Australian Publishers Association, the Australian Booksellers Association and the Australian Society of Authors. Tags: alan baxter, angela slatter, aussie author month, david malouf, david sornig, eva hornung, garth nix, indigenous literacy foundation, jack dann, john harwood, justine larbaliester, Kaaron Warren, kirstyn mcdermott, lian hearn, Lucy Sussex, margo lanagan, peter m ball, scott westerfeld, sean williams, tansy rayner roberts, trent jamieson. Bookmark the permalink.